Hei everyone..! It's been a very long time since I post my latest update on this blog. I've been so busy lately because of campus competition and also for preparing my comprehensive test as the requirement for me to graduate for university. Anyway, I'm back writing in this blog just for you all my lovely readers ^_^.. In this post, I want to review on Maybelline BB Cream that I bought at the Maybelline counter couple of weeks ago. I would like to make it clear that I'm not paid by Maybelline for this review. I bought the product with my own money, and does not receive a penny from Maybelline to review this product. So anything I wrote in this review will be purely on my honest opinion about the product. To be honest, I'm not a make up expert. I'm also not a makeup addict. I don't really like thick makeup applied in my face. I like my make up to be very simple and natural. Sometimes I even have the guts to get out from the house without any makeup on. But when I'm in the mood for makeup, then I'll put very simple and natural makeup on. 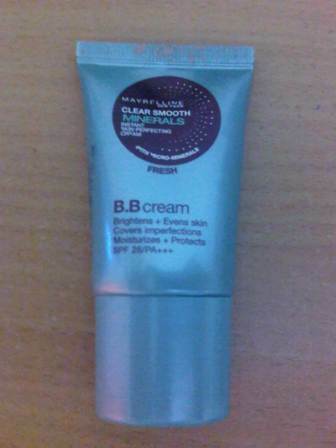 Anyway, is there any of you does not know what BB cream is..??? Okay then, I'll explain what BB cream is, special for my lovely readers who are still uncommon with BB cream. BB cream stands for Blemish Balm Cream. Lately, it is among one of Asia's hottest beauty products. Many sources stated that BB cream is first generated in Germany where dermatologist prescribe it to heal laser skin surgery because it has soothing and skin-regenerating properties. Famous South Korean actresses then began using it for beauty purposes and since Asian dramas are huge all over, a craze was born. The trend that started in Korea first spread to Japan then to South East Asia and is now quickly making its way to Europe and the USA. Because of the boom in Asia, I'm so looking forward to try BB cream. So I decide to visit the Maybelline store to ask whether they have such product or not. I'm so happy that they have such product ready in store. Below is how the Maybelline BB cream looks like. It comes in very simple packaging. I like the packaging because it is small, handy, and simple so it's very easy for me to carry it in my bag. It's also very easy to open. You just twist the lid once, and it will come off easily. To take out the cream from the packaging is also very easy. You just have to simply squeeze the bottle and liquid will get out from the package. It's also very hygiene since liquid that has been out from the bottle will not be able to be stored in again. Above is the picture when the liquid is put in my hand. You can see that the liquid is not thick. It is very light. Just the way I like it. It could give such natural look and glow. My review to this product will be based on the promises that Maybelline stated in the packaging. The review will be based purely on my experience using this product for about a couple of weeks lately. Maybelline stated that this product will be able to give visible whitening effect. Yes baby.. This is so true. 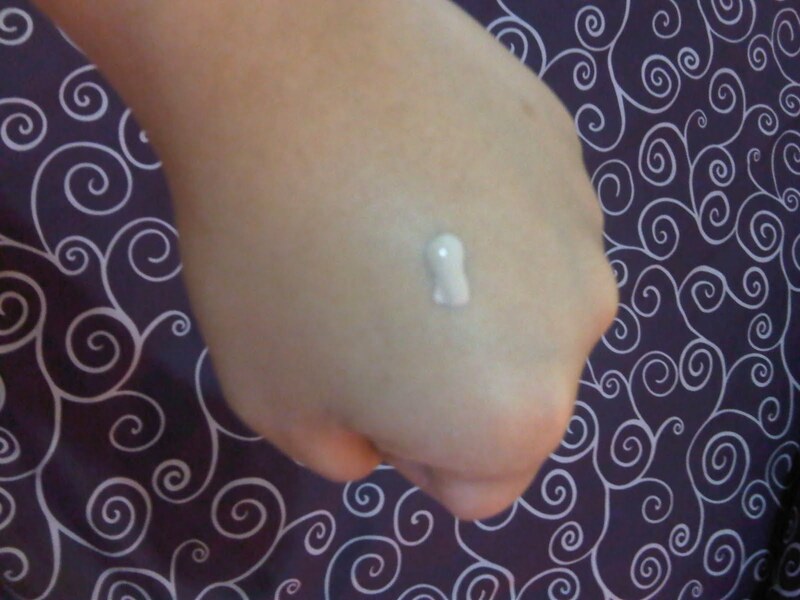 The color of this BB cream really fits with my skin. I have skin color that many Asian woman also have. It's bright and light. Maybelline BB cream is able to give more glow in my face and gives the whitening effect to it. But this does not mean that after using this product my face will look like a clown where its so white. It also does not give a pale look in my face. This product is expected to reduces the appearance of pores, and skin redness. To be honest my face is full of imperfections. I don't take care of my skin in a good way previously. So there are many black spots in my face created by my past acne. Using BB cream from Maybelline really helps me to cover the black spots. But this does not cover the spots 100%. Perhaps it's because of the lightness of this product. With its SPF 26/PA+++ Maybelline BB cream helps to protect skin from UV rays and free radicals. Well this is a good thing so it's enough for me to not put sunscreen in my face. The moisturizer in this product is also fairly good since it gives additional softness to my skin. It does not make my skin looks dry. Simple packaging makes it very simple to put in my bag/purse. Comes in a very great bargain price. I bought mine only for Rp.45.000 or about USD 5.00. Very soft and light so it gives better natural look. It is long lasting that means one bottle will last for more than a month since you only need a little bit to be applied every time you wish to put your make up. There are only one alternative of tones. So you cannot choose other colors because there are one tone only. It only comes in one small size. So if you really like this product and you decide to use it in a long-term, you probably have to go back and forth to your makeup store to buy this product. 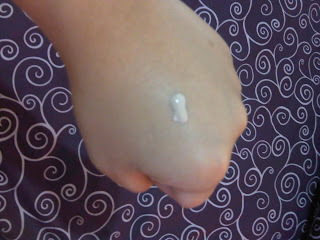 In my face, this BB cream only last no more than 6 hours. So I have to re-do my make up every 6 hours especially if I'm sweaty. But this perhaps differs among individuals since every individuals have different type of skins. To conclude, I believe that all of you agree that this product is a good investment for your makeup inventories. It is also a good one to try. I mean, it really is nothing to loose to try this product. So why don't you give it a try girls..?? ?